Torpedo grass (also known as bullet grass) is a grass variety found throughout coastal, sandy-soil areas of the United States and other regions worldwide. Torpedo grass can grow up to a height of 3 feet, and because it grows rapidly, it is not a desirable option for landscaping your home lawn or garden. Eliminating torpedo grass from your lawn is simple and requires but a few weeks time and some basic landscaping skills and inexpensive materials. Cut torpedo grass with a lawn mower if patches are larger than about 6 square feet. Chop up the soil with a shovel or hoe and remove as much of the torpedo grass and underlying root structure as possible. Spread old newspaper or a plastic dropcloth at least 1 mil thick over remaining torpedo grass patches in your lawn or garden. Use bricks or other heavy, weather-resistant objects to hold the newspaper or plastic drop cloth in place. The heat of the sun will intensify under the covering while blocking sunlight and air in order to kill any budding torpedo grass. Leave the covering in place for at least two weeks in the summer months and three to four weeks in the spring and fall. Remove the plastic drop cloth or newspaper and spot check the area to determine whether new torpedo grass growth exists. Hand pull any remaining torpedo grass and continue to spot check the areas on a weekly basis. If necessary, use a specially formulated herbicide, such as Drive 75 by BASF, to eradicate persistent torpedo grass. The formula comes in a plastic spray bottle with a trigger handle for applying to targeted areas on the lawn. This should be a last resort; herbicides can be dangerous to pets and wildlife. 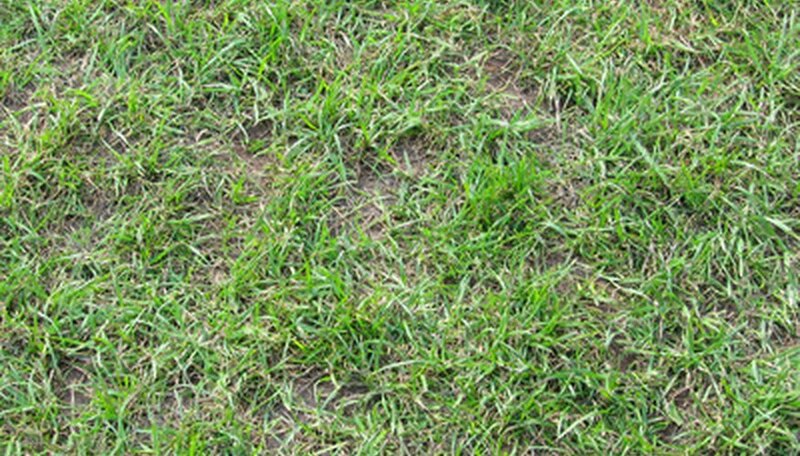 Reseed the treated areas with a different grass species to discourage torpedo grass from coming back. Wear protective gloves while working in the lawn, especially while handling chemicals. Follow all herbicide directions carefully to minimize environmental impact and potential harm to animals.